Days after collaborating with Cardi B during his set at Coachella's REVOLVEFestiva l, Offset dropped a new music video featuring his superstar wife - and the results are pretty steamy. The NSFW visuals for “Clout” feature the on-off pair acting very much back on following their brief split late last year. 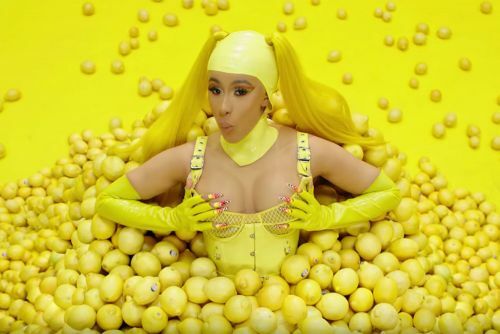 Cardi, 26, and Offset, 27, get grabby amid a striking yellow background, with the “Bodak Yellow” rapper straddling the father of her 9-month-old daughter Kulture Kiari while donning leather gear decked out in chains.